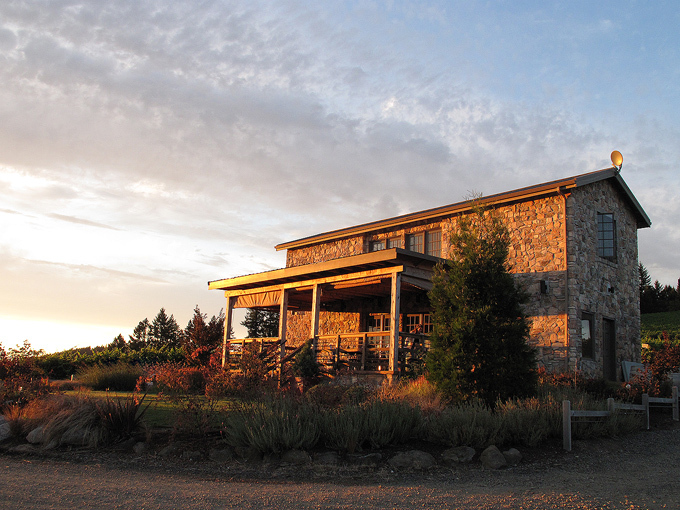 Our tasting room is open 12-5pm, Wednesday through Sunday, Mon-Tues by appointment (winter hours). For more info click here. 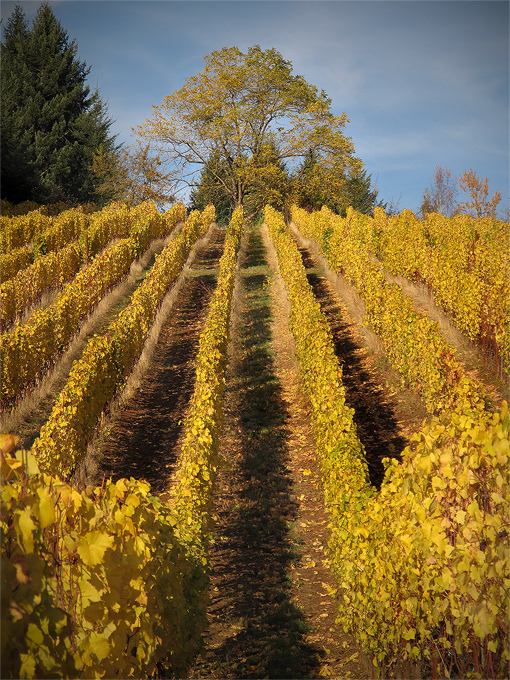 Welcome to Lenné, producers of estate grown Oregon Pinot Noir. Our Oregon Pinot Noir comes from our small 20.9 acre vineyard near the town of Yamhill, Oregon, in the Yamhill-Carlton District. Our winemaking style is minimalist, taking advantage of the profound flavors produced by this unique Pinot Noir vineyard. We produce Pinot Noir under three labels all of which are comprised of entirely estate grown fruit. Our first Pinot Noir is called LeNez and represents the entire vineyard and each of our five clones. The second Pinot Noir is called Lenné Estate and is a barrel selection of the finest wine from our estate each vintage. Finally, in great vintages, we produce our finest wine called cinq élus, a blend of the best barrel from each of our five clonal blocks. All of our wines are from low yields and are minimally handled in the winery. We also produce some classic two-clone blends, along with several single clonal selections under the Lenné Estate label. These include 114, 115, 777, and Pommard. See our vineyard page for more details and a map of our clone blocks. 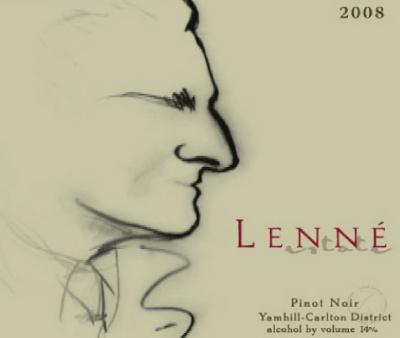 What sets Lenné apart from other Oregon Pinot Noirs? Location, location, location. Our steep south facing slope is at the perfect elevation and has some of the poorest soil in Yamhill County resulting in concentrated Pinot Noir. The style of our Pinot Noir is often described as full-bodied and bigger. We don’t seek to make highly extracted wines, but our poor soil produces wines with density because of the small cluster and berry size. Lenné wines have a distinct mid-palate texture and a mocha-like aroma. We hope you will take a few minutes and browse the site and find out what makes Lenné a special place to produce Pinot Noir. You can follow our BLOG which we add to when we get time away from the vineyard and we invite you to come and experience the terroir of Lenné in person. Winter hours: 12-5pm Wednesday-Sunday and Monday or Tuesday by appointment. 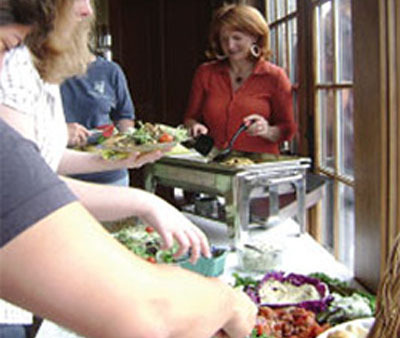 Please contact us at:ERIC@LENNEESTATE.COM. 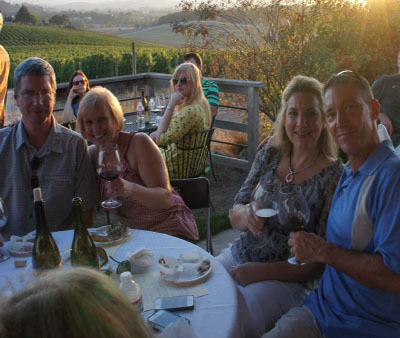 Our views are as good as the wine just check out our PHOTO GALLERY and see for yourself.